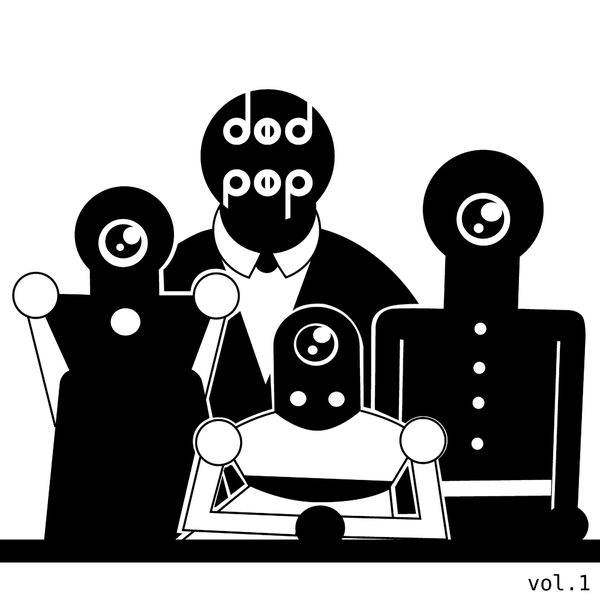 Dødpøp can count themselves as part of the wave of Skweee oddness currently reeling it's way to these shores along with the Harmonia and Flogsta Danshall imprints. However, this Norwegian label has assembled it's own cartel of perverted-electro purveyors with names like Melkeveien, Beatbully, Sprutbass and Marcus Price next to French beatnuts like Fulgeance developing a slightly less obtuse, but equally sparse take on the Skweee sound. After all, the brackets for this niche are still fairly open to interpretation from any cheeky chip-monkey with a penchant for freaky electro-funk. Fulgeance's 'Hardi' is probably the most developed joint here, which is kinda bending the rules a little but still sounds phat, while Slowhand Motëm & Beatbully's 'Romeo November Tango' adds deadpan Jimi Tenor-style vocals to lo-fi 8-bit funk and US hiphop MC appears on Hedmark's Oslo-Funk anthem 'We Put The World On It'. Brilliantly quirky, crushed 8-bit styles, highly recommended!